From sales to customer service, engineering to production, supply chain to inventory, Rootstock's Cloud ERP functionality is broad and deep. 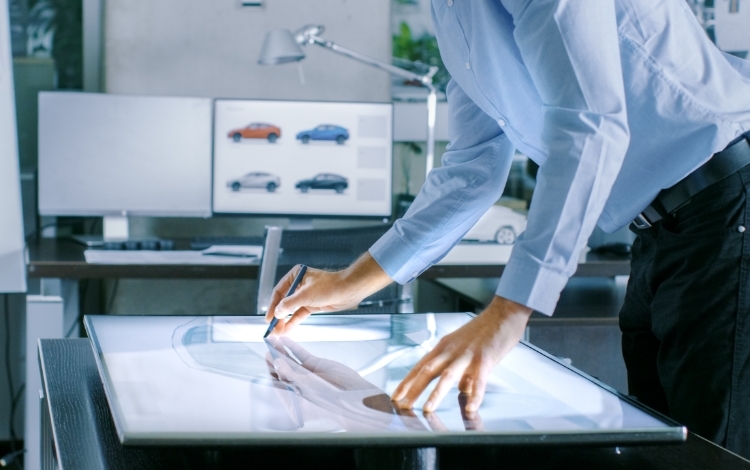 Streamlined, customizable workflows and automated management tools help you improve operational agility and adapt quickly to changing customer needs and business challenges. Uncover new markets and deliver products faster with our Cloud ERP software. Experience a modern, customer-centric cloud platform that evolves with your business. 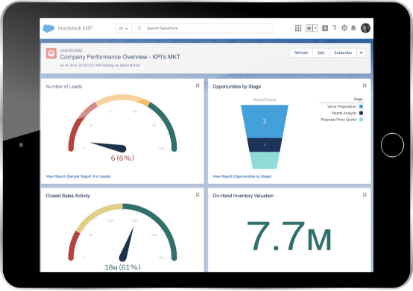 Powerful analytics let you act on critical business information and drive innovation. Expand your solution with apps that integrate out of the box on the Salesforce Platform. Connect people, data and things to a consistent set of data. Rootstock Cloud ERP software allows you to stay in close contact with your customers, suppliers and employees. 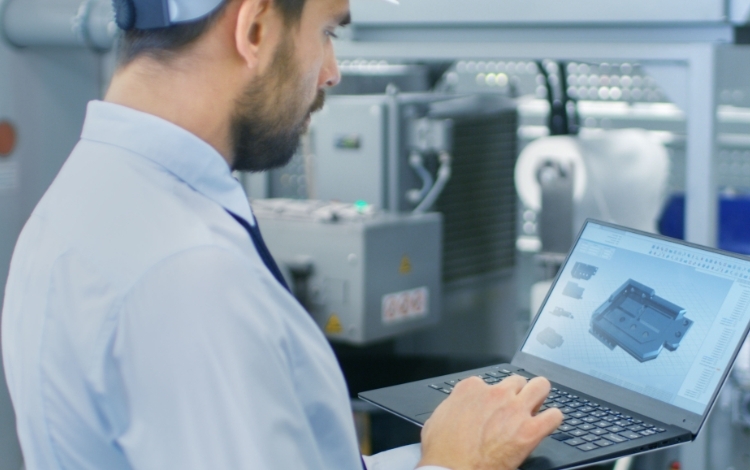 With embedded social media and custom portal features, our Cloud ERP software can connect with any device from anywhere in the world. 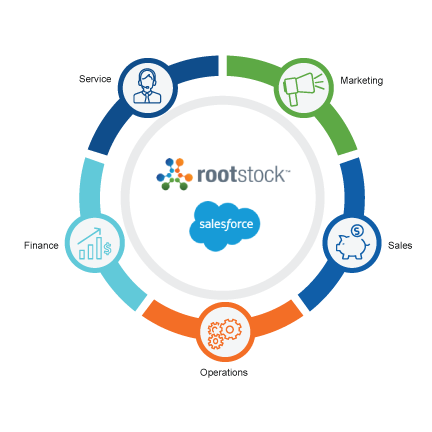 When combined with Salesforce CRM, Rootstock Cloud ERP offers manufacturing, distribution, and supply chain organizations a single platform on which to grow and manage their businesses. Eliminate the gap between ERP and CRM to become a more customer-centric and agile company. Get complete visibility of all your customer interactions and understand your business from end to end with our Cloud ERP software.